My default outfit back in Uni was a T Shirt or tank top and a pair of jeans, anyone could accurately predict what I’d wear. It was easy, comfortable and safe and because I was a plus size I was scared to try out other things for fear of looking like a baby whale. Over time, I started to introduce other options, trying to figure out my style. But I found that subconsciously while shopping, I would still pick out basic T Shirts in different colors. Coming into my own and seeing they are here to stay, I began to find other ways to rock them. Here are some of my T Shirt Moments in the past few months and there’s nothing so basic about these T shirt outfits. LOOK 1 : I wasn’t ready to wait to lose weight before I could fit into this dress. With inches added to my arms and bust line, White basic Tee to the rescue and of course the right accessories to spice things up. LOOK 2 : It was one of those days arranging the store after receiving a new set of stock. I wanted to be comfortable with a bit of sass. Basic tee again to the rescue paired with floral skirt shorts, I added a big belt to break it in between and accentuate my waist. Same concept in the 2nd picture but this time with culotte trousers and I was on my way to Parents Teachers Meeting at the boys’ school. LOOK 3 : Out with the boys visiting friends in my favorite FASHION STOLE MY HEART inscribed Tee. Paired with a pleated skirt and again accessories. 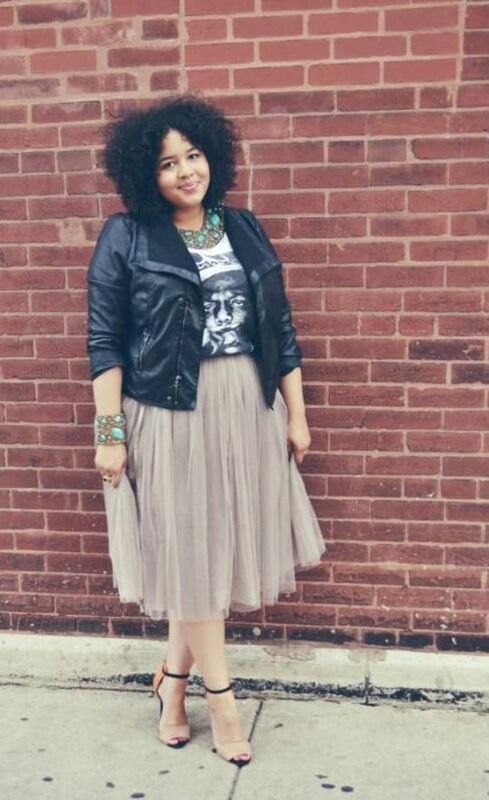 My favorite recent look is this basic Tee and full high waist midi skirt paired with metallic studded peep toe Pumps. LOOK 4 : Out running errands in contrasting Purple hues is the T Shirt and Tapered Pants paired with White ankle strap sandals. One important thing to note is the need for a full fitting and firm Bra. This is very necessary for any outfit more so when wearing a T shirt. 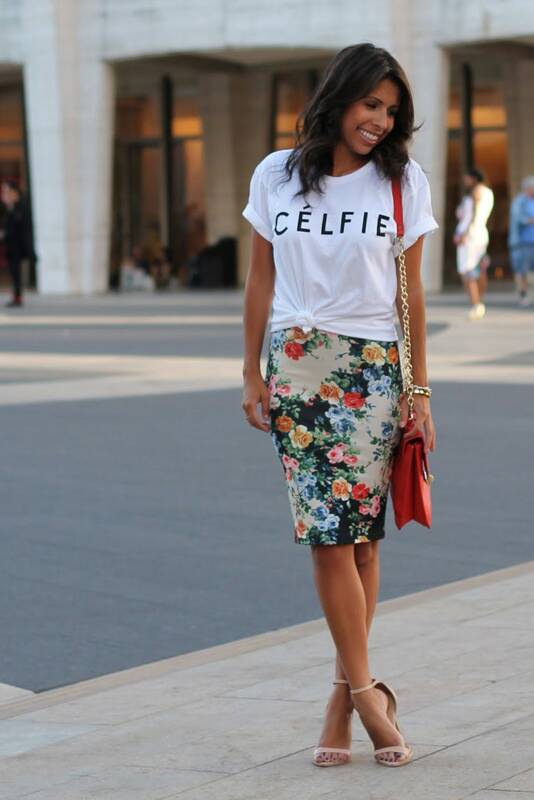 Here are other inspiring Tee Shirt looks you may want to try. I can’t get past the pom pom sandals on this one. Notice how the use of accessories changed the whole dynamics. Before you relegate those T Shirts for market runs or lounge wear, think again and get styling. Which of these looks would you be trying? What’s your go to T Shirt look? Drop a line or 2 in the comment section or simply click on one of the smileys to let me know how useful this post is to you. Peace, Love and More Tees? hahahaha, let’s say that conversation did.